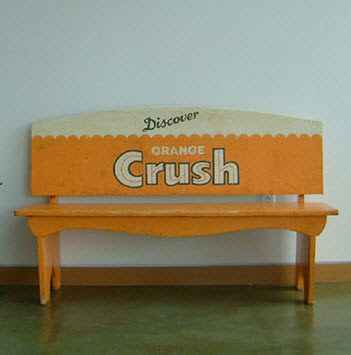 This month I am featuring the amazing works by furniture artists, Kim and Steve Cherry. 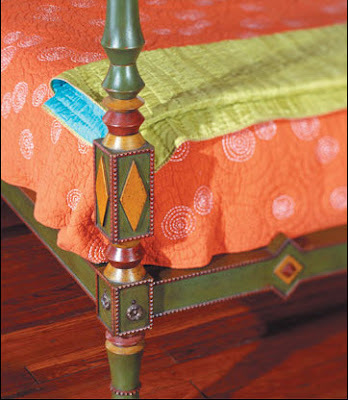 They create both contemporary and traditional furnishings with a twist, color is their forte. 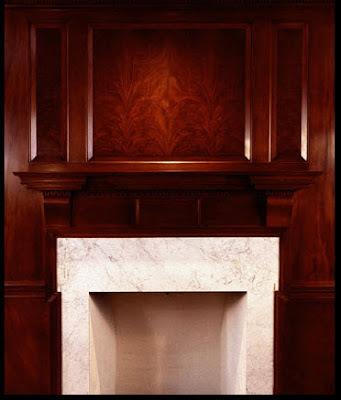 We have worked together on many projects over the past 15 years. I am always impressed by the fresh and innovative way the Cherry's design space for mill work. 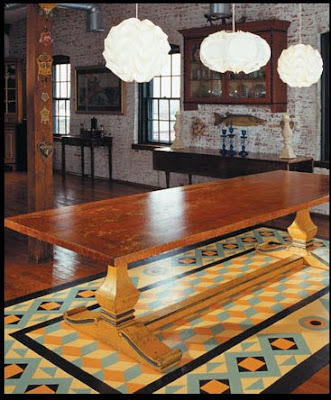 Whether we work on a dining room table, a chair or a bookcase I know it will always look like a work of art. Their pieces are timeless and have been featured on HG TV and Conde Nast magazine to mention a few. They have created interior spaces as far away as Ireland. At the end of the blog, please take a look at my portfolio where you can see more of their work in different settings. 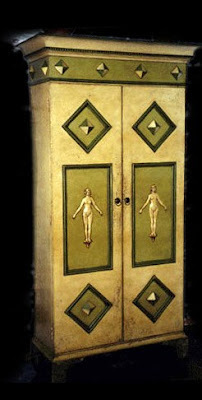 www.merlehillaryinteriors.blogspot.com. Enjoy! Here we see a fabulous armoire created for a warehouse residential space with no closets. What a great solution! 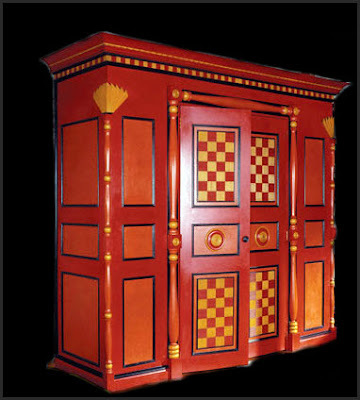 Below is an armoire we made for a client's bathroom to hold towels, soaps, etc. 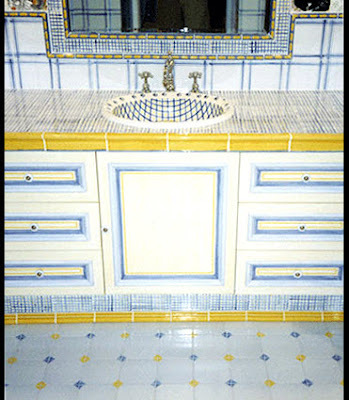 Here is an example of how mill work can be incorporated into the tile work and the sink design. 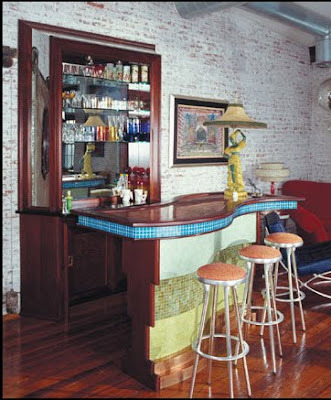 Below is a bar which incorporates tile, wood, copper, and mirror. I just love the shape of the bar! 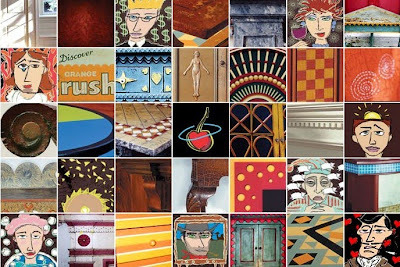 When you take a close look at the images below, you will see that they are really very traditional in line. What makes them new and fresh is the color application. 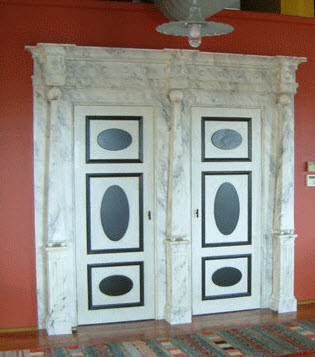 The milled doors above are basically classical features. The application of the black and white are very exciting. What I like about the next photo is the movement propelled by not only the shape but the color. 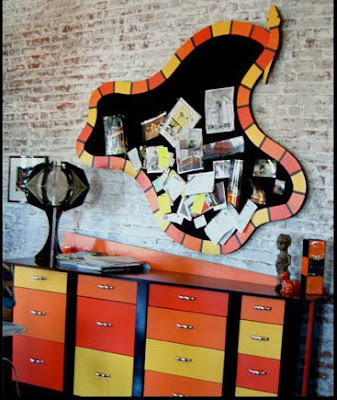 Next time you need a bulletin board, think of something fun to inspire you! Color blocking is big these days in wall color and furniture. 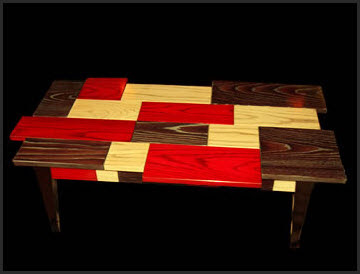 Look at this coffee table and just imagine how much fun you could have matching your sofa fabrics to the colors of your choice for a table. It would create an original focal point. 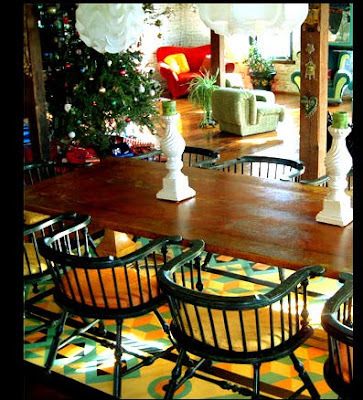 Kim and Steve not only create one of a kind furnishings, but also hand paint canvas floor coverings. I just love the combination below. Here is a unique pairing of a traditional spindle chair and a pedestal base table. Lastly, if you prefer something a bit more subdued and elegant, I will leave you with this! Pleas go to www.cherryorbit.com to see more.....Thanks, Kim and Steve and I'll visit you all again next month.